Who doesn’t love the serenity of sitting by lake during a warm summer evening? The stillnesss of the air and water and the ability to take the long view across the lake. To “improve” conditions we removed vegetation to the shoreline and added lawn, and/or a seawall…along with everyone else in a kind of wave protection arms race. 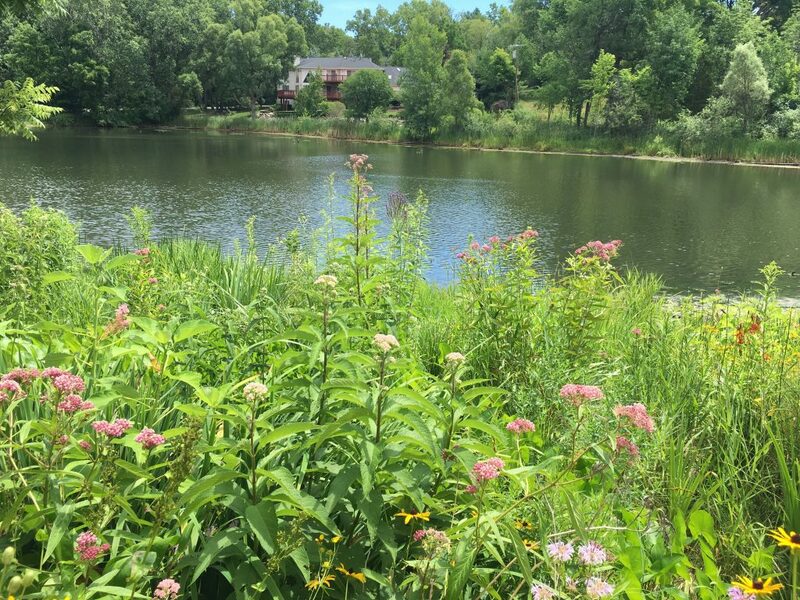 These conventional practices have resulted in 40% of Michigan’s inland lakes having poor shoreline habitat and eroding water quality. 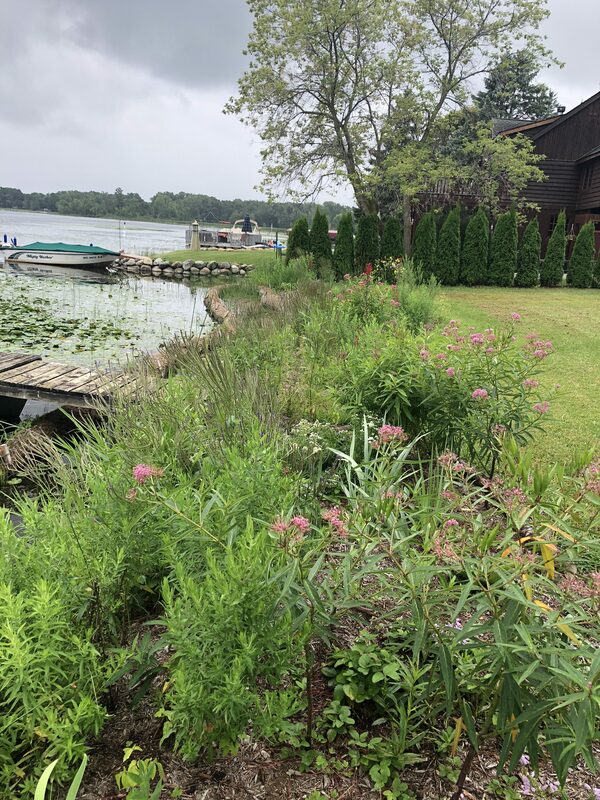 Alternatively, there are natural shoreline practices that utilize bioengineering principles and native plants that can hold the shoreline, support habitat, and allow access to the lake, thus helping biodiversity and water quality. Drew has received his Michigan Natural Shoreline Certification and is listed on the Michigan Natural Shoreline Partnership webpage. We would love to talk with you about your shoreline. Click here to view our other environmentally sustainable landscaping services.